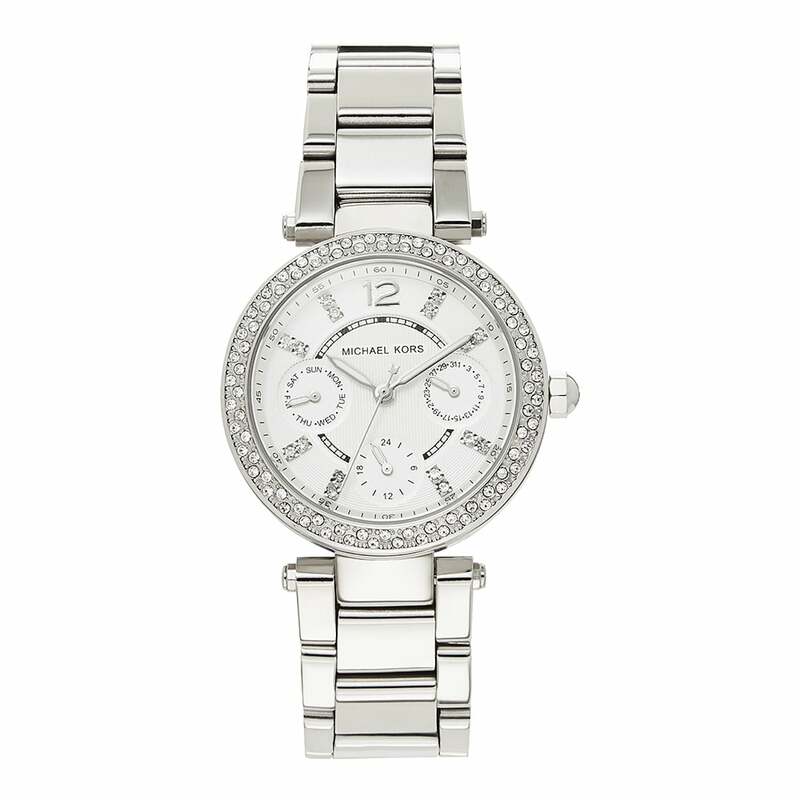 This is a beautiful timepiece designed by Michael Kors and makes a sparkling statement to any attire. Remaining a Silver tone all throughout, the dial shows a Chronograph and Date Display which creates a handy feature for your every day events and also has a Water Resistance of 100m, making this suitable to wear from being out in the rain to activities such as swimming. This Watch comes presented in an Official Michael Kors Presentation Box, provided with a 2 year Tic Watches Warranty plus fully secure free UK Delivery supplied by Official Authorised Stockists, Tic Watches.